Sailing Club is famous for their watersports. You can check their website Sailing Club Vietnam. There are plenty of other places that offer water activities and day trips to islands near Nha Trang. Most of the tourist offices are located on Biet Thu street, the most famous tourist street. This is where you will see plenty of posters with marine life that you can see while diving. 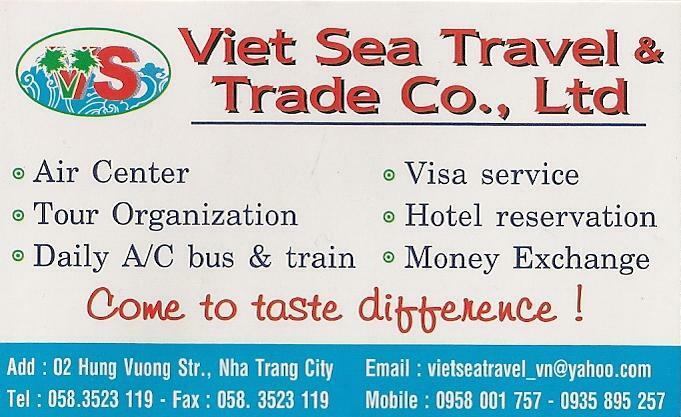 You can book a day trip which includes water activities from Viet Sea Travel. 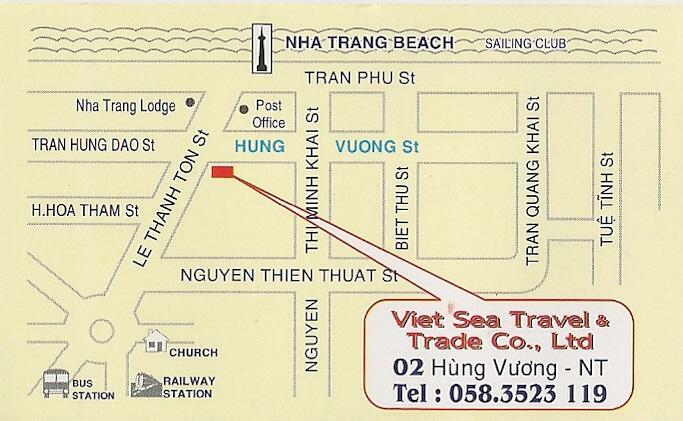 They are located at 02 Hung Vuong, near Nha Trang Lodge hotel. See the map below. Click to enlarge. During the rainy season waters are not clear enough for diving. Usually from October to Fabruary instead of diving other sports are recommended: surfing and bodyboarding. In these months the see is rougher than in other months so surfing and bodyboarding are the best water sports. You can dive in Malta, a small warm island in the Mediterranean Sea.